Sunday morning I had the pleasure of taking Ed Bulwinkle's Ashtanga (primary series) class at Tejas Yoga, and soon to be a new instructor at Lifetime at City Center (taking Monique's Wednesday night class- Monique- you will be missed!). He puts a bit of humor with his practice and tried to coax a mixture of conservation and preservation of energy while at the same time showing me where the posture could (should!?) go. Telling me to go for it and hold back at the same time just about had me frustrated by the end of class. But, then, it was exactly what I needed. After doing Ana Forrest on Friday by Sunday my overall zing was zapped! I am thrilled to get Ed over to the big-box of yoga (Lifetime). 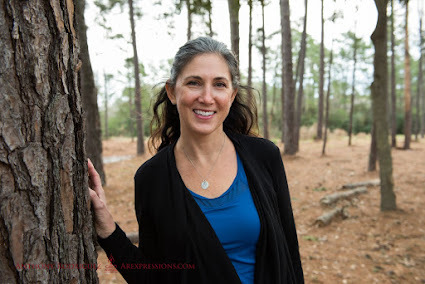 Not only that but another fab instructor, Dhyana Leyton from Lake Houston's Lifetime will be teaching on Sundays- taking Victoria's (I'm really sad to lose you, Victoria!) classes. Ashtanga classes reveal to me how much the ritual of it does not appeal to me and yet how much I need it. The discipline of the practice (a set order of postures) is really hard for someone who is easily distracted! But, mainly I get discouraged at how tight my hips are, how my body will not do what my mind is telling (commanding!) it to. But then, I'm not "doing yoga" with ahimsa when I'm behaving in a way that is trying force my body to go where it's unwilling. Why is judgement and expectation so prevalent in life (in my life)? We focus on what is behind us and yet can't wait to get to ahead (thanks for that reminder, Ricky). Yet another reminder to breathe. Slow down. And, stay present! "Be here now", as Thich Nhat Hanh talks about when describing how to "discover the magic in the present moment". Here's to patience and conservation... day by day.